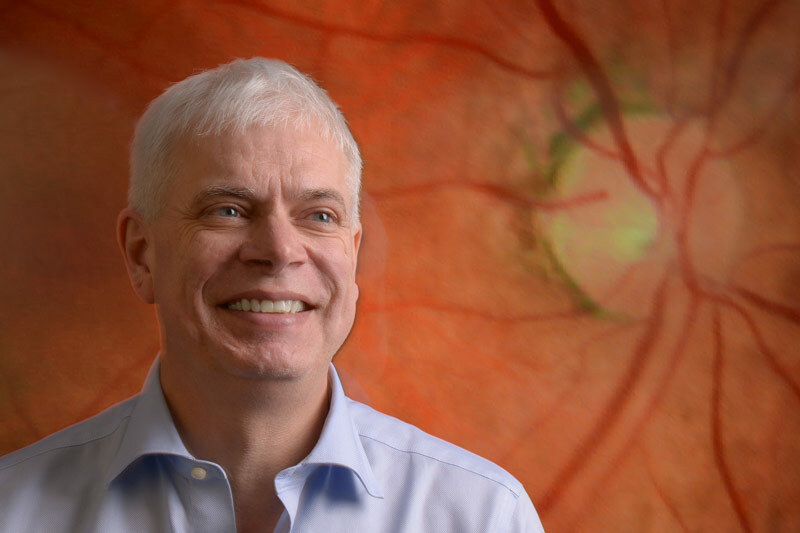 Dr. Michael Abramoff, MD, PhD, is an internationally renowned physician scientist and fellowship-trained retina specialist. 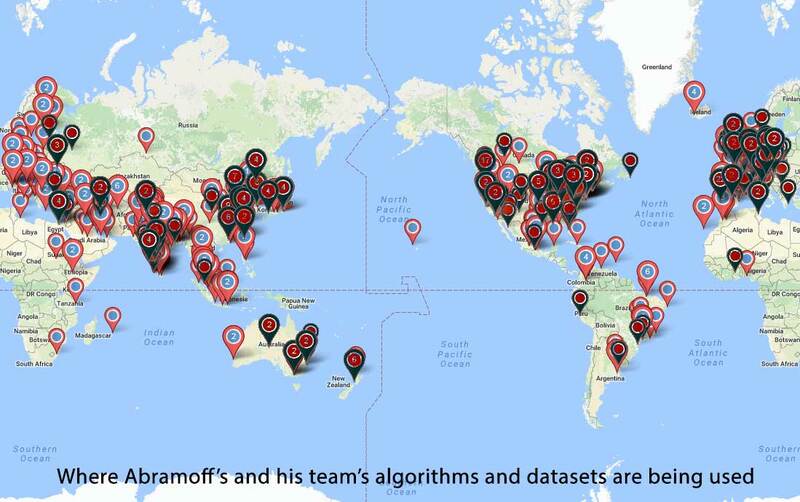 For the past 20 years, Dr. Abramoff has studied how Artificial Intelligence (AI) can be used to detect disease in medical images. He is the author of over 300 peer-reviewed publications that have been cited over 22,000 times, and the inventor of over 16 issued patents and patent applications. 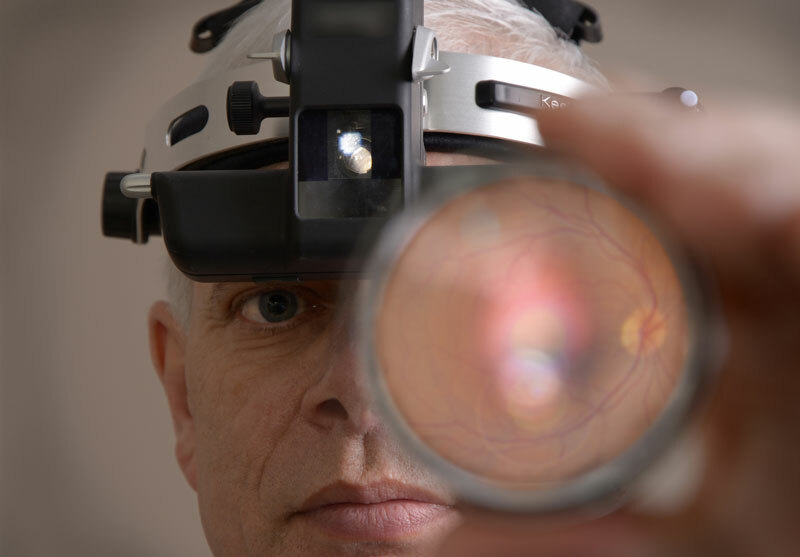 Dr. Abramoff’s research has largely focused on assessing the performance of smart cameras enhanced with AI algorithms to detect signs of diabetic retinopathy. His findings led him to patent this technology and found a company, IDx, to bring patients a more accessible and affordable solution for the early detection of diabetic retinopathy. I am a retinal specialist – a physician who specialized in ophthalmology and who then did a fellowship in vitreoretinal surgery – who treats patients with retinal diseases . I am also a machine learning and image analysis expert, with a Master’s in Computer Science focused on Artificial Intelligence, and a PhD in image analysis – both Jan Koenderink and Max Viergever were advisors. Between 1989-1990 I did a postdoc in Tokyo, Japan at the RIKEN neural networks research lab. I was one of the original developers of ImageJ, a widely used open source image analysis app. I have published over 250 peer reviewed journal papers (h-index 53) on AI, image analysis, and retina, am past Editor of the journals IEEE TMI and IOVS, and editor of Nature Scientific Reports, and have 17 patents and 5 patent applications in this area. Artificial Intelligence for Automated Detection of Diabetic Retinopathy in Primary Care [meeting abstract, pdf]. Presented at the meeting of the Macula Society, Thursday, February 22, 2018. Improved automated detection of diabetic retinopathy on a publicly available dataset through integration of deep learning. Invest Ophthalmol Vis Sci. 2016; 57:5200-5206. One of the Top 10 articles cited in IOVS in 2017. Simultaneous Multiple Surface Segmentation Using Deep Learning [pdf]. Paper Prepared for the MICCAI conference, 3rd Workshop on Deep Learning in Medical Image Analysis, September 10-14, 2017 in Québec City. M.D. Abràmoff, P.J. Magelhaes, S.J. Ram, Image Processing with ImageJ. Biophotonics International, 11(7):36-42, 2004; over 12000 citations! "He makes a point to enforce with residents that teaching is his first priority and this shows in how he operates his clinic. He listens to the residents assessments and pushes them to generate their own clinical plan. He integrates evidence and experience in his teaching effortlessly. He is one of the most supportive faculty of the residents, encouraging them to become involved in research and takes time to mentor them along their career path." "We are very lucky to have him as a faculty." "Great working with Dr. Abramoff. I learned a lot from his guidance in clinic. He has a very good systematic approach to retina that I hope to be able to adopt. I look forward to working with him again next year." "It is truly an honor to work with and learn from Dr. Abramoff. I have so enjoyed my time at the VA in the Retina Clinic with him. He provides excellent guidance but also pushes residents to develop our own assessments and plans. He has also been a fabulous instructor for me with lasers." "He clearly is dedicated to furthering the field of ophthalmology through all aspects of medicine - research, teaching, and clinical care. I look forward to continue working with him." "We're lucky to have him teaching residents and helping to care for our patients." "Fun to work with and very knowledgeable." M.D. Abràmoff, P.J. Magelhaes, S.J. Ram, Image Processing with ImageJ. Biophotonics International, 11(7):36-42, 2004; over 7500 citations! Messidor-2 dataset as used in Abramoff et al, Automated analysis of retinal images for detection of referable diabetic retinopathy, JAMA Ophthalmol. 2013;131:351-7, and in Abramoff et al, Improved automated detection of diabetic retinopathy on a publicly available dataset through integration of deep learning, IOVS. 57:5200-06. One of the Top 10 articles cited in IOVS in 2017. Iowa Reference Algorithm – Analysis and segmentation of retinal and optic nerve head SD-OCT images is now freely available to researchers in the form of the Iowa Reference Algorithm that we developed. Abramoff, M. D., van Ginneken, B., Niemeijer, M. 7,474,775, "Automatic Detection of Red Lesions in Digital Color Fundus Photographs." Abramoff, M. D., Kwon, Y. H. 7,712,898, "Methods and Systems for Optic Nerve Head Segmentation." Abramoff, M. D., Quellec, G. U.S. Patent Application Number US 13/992,552, "Optimal, User-Friendly, Object Background Separation in Images." Abramoff, M. D., Niemeijer, M., Xu, X., Sonka, M. U.S. Patent Application number US 13/355,386, "Automated determination of arteriovenous ratio in images of blood vessels." Abràmoff, M., Tang, L. US Patent Application number 13/980,804, "Systems and Methods for Generating a Three-Dimensional Shape from Stereo Color Images." Lee, S., Niemeijer, M., Reinhardt, J., Abramoff, M. D. US Patent number 8,194,936, "Optimal Registration of Multiple Deformed Images Using a Physical Model of the Imaging Distortion." Abramoff, M. D., Soliz, P., Russell, S. R. US Patent number 8,340,437, "Methods and Systems for Determining Optimal Features for Classifying Patterns or Objects in Images." Wu, X., Garvin, M., Abramoff, M., Sonka, M. US Patent number 8,358,819, "System and methods for image segmentation in N-dimensional space." Abràmoff, M. US Patent number 8,616,702, "Hybrid Laser Ophthalmoscope." Abràmoff, M., Tang, L., Wu, X. US Provisional Patent Application number 61/968,713, "Graph Search Using Non-Euclidean Deformed Graph." Abramoff, M. D., DeHoog, E. US Patent number 9,155,465, "Snapshot spectral domain optical coherence tomographer." Abramoff, M. D., Sonka, M. US Patent number 9,545,196, "Automated assessment of glaucoma loss from optical coherence tomography." Abramoff, M.D., DeHoog E. US Patent number 9,782,065, "Parallel optical coherence tomography apparatuses, systems, and related methods." Abramoff, M.D., Niemeijer, M., Xu, X., Sonka, M., Reinhardt, J.M. US Patent number 9,924,867, "Automated determination of arteriovenous ratio in images of blood vessels."